The Sunshine State conjures up visions of tropical climates and beautiful beaches, but to make it habitable for the residents, the HVAC industry has played a huge part. Keeping the air conditioning up and running is a full-time job for HVAC technicians, and the demand for qualified and experienced people to fix and maintain ACs is quite high. With warm weather nearly all year round as well its fair share of storms and bad weather, the HVAC industry in Florida is booming. Read on to find out how you can join this industry. State Certified Class A or Class B Florida HVAC License or a State Registered Class A or Class B Florida HVAC License. You will need a different license depending on where you plan to work and what sort of equipment you will be installing. You can learn more about the Florida HVAC licensing requirements here. Useful exams you can take are the NATE and the EPA 608 exam, which is a Federal government requirement if you will be working with ozone-depleting refrigerants such as R410A. In order to gain the knowledge and experience to pass these exams and qualify as an HVAC technician, you should take an HVAC course from a reputable institution, although it is not a requirement from Florida. But vocational schools are a great mens of preparing. And some two-year college programs will prepare you specifically to pass the Florida state HVAC exam, giving you a head start over students who only do a one- or two-semester-long certificate which prepares you for assistant positions. If you want to become an HVAC engineer, a BS in Mechanical Engineering or similar degrees will be required for your career, and we have covered the schools in Florida in this article that are the best fit. While jobs in HVAC in Florida are expected to increase by over 30 % in the coming years, there are already a lot of vacant positions in various cities. HVAC technicians and contractors in the top 10% can earn over $68,000 yearly, while the median HVAC worker gets around $43,640. THe more experience you have in the field, the more you’ll get paid. As per Salary.com, the Florida cities where an HVAC mechanic get paid the highest are Boca Raton ($43,511), West Palm Beach ($43,116), Miami ($42,546), Fort Lauderdale ($42,941), Hollywood and Pompano Beach (both around $42,941). 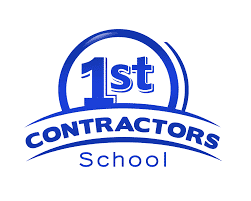 At 1st Contractors School, they offer a preparatory course for Class A or Class B Air-Conditioning Contractor. The 1st Contractors School is located on multiple campuses in Florida, including Miami. They have instructors who are certified professionals with over 25 years of experience in the areas of construction and education. The courses are meant to prepare you to pass the exam to become either Class A or Class B Air-Conditioning Contractors. The difference in the lies in the type and size of HVAC systems you are allowed to work on. The skills taught in the course will allow you to install, maintain, repair, fabricate, or design central HVAC systems. The course lasts 2 semesters and costs $600. The Southern Technical College Orlando campus is conveniently located next to the Florida Mall in Orlando. It offers a Diploma in an HVAC Program that is designed to be completed in 9-12 months. The curriculum helps prepare students for entry-level employment as HVAC technicians, giving them a foundation of knowledge and hands-on experiences in how to install and service residential and light commercial air-conditioning and heating systems. The 7-month program offered by TWS teaches students the fundamentals of heating, ventilation, air conditioning, climate control and refrigeration technologies (HVACR). It offers morning, afternoon, and evening classes with a focus on hands-on training. After graduation, students can start working as refrigeration service and maintenance technicians, as well as HVAC technician maintenance and service.Graduates receive an undergraduate certificate in Refrigeration Technologies. $7,210 for off-campus room and board. 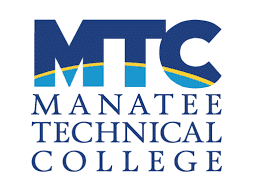 The program at Manatee Tech is offered in both day and evening versions. Both programs prepare students for employment or advanced training in the heating, air-conditioning, and refrigeration and ventilation industry. The daytime program takes 1350 hours or approximately 14 months full-time to complete. The evening program takes 750 hours – approximately 11 months to complete. The program prepares you to pass the HVAC Excellence Employment-Ready Exam for Air Conditioning and EPA Certification. In addition, you can prepare for the HVAC Excellence Employment Ready – Electrical, HVAC Excellence Employment Ready – Heat Pump, and 410A Refrigerant for a nominal fee. The cost for the daytime program including tuition, lab, fees estimate & additional expenses is $5,171 while the cost of the evening program is $3,119. Tuition is cheaper for Florida residents, around $2.92 per hour, while for a non-Florida Resident it is about $11.71 per hour. The short program offered by Florida Academy is nationally accredited and is built around expert instructors, leading-edge equipment, and trusted brand names such as Carrier, Bryant, and Lennox. They also offer placement assistance. Both hands-on and theoretical knowledge is imparted at this school, which is nationally accredited by the Council on Occupational Education (COE) and is an approved ESCO Institute and HVAC Excellence testing and certification center. The program is NATE approved as well. The program duration can be one month for day students and 6 months for evening students. At the end of the course you earn an HVAC Technician Level I Certificate. You’ll also be ready to take the EPA Section 608 Universal Certification. The Air Conditioning Refrigeration and Heating Technology program is a two-year Associate degree program available at CBT College’s Flagler Campus and Hialeah Campus. It is taught in both English and Spanish languages. It prepares students for a mid-level position within the air conditioning, heating, and refrigeration industry. It includes hand-on training as well as coursework on the repair and maintenance of heat pumps. Program fees are $32,267 for tuition and fees. CBT also offers an undergraduate certificate in Air Conditioning and Refrigeration Technician. This eight-month program is also available in English and Spanish. HVAC-related skills taught in this program include basic design, repair of residential and commercial equipment, air conditioning, and heating equipment, as well as installation and refrigeration maintenance. The cost is $13,247 for tuition and fees and $1,350 for books and supplies. The program costs around $6,125 in tuition, lab fees, certifications, and other fees. The average salary for an HVAC Mechanical Engineer in Orlando is $58,000 per year, which is 4% below the national average salary of $64,004 annually. The range of salaries for HVAC engineers in Orlando is from $39,980 to $71,400 annually. According to Indeed.com, the average salary for HVAC Engineers in Florida ranges from approximately $49,417 per year for Building Engineer to $92,022 per year for Senior Mechanical Engineer. FIU offers several options for HVAC professionals to get their start in engineering. The BS in Mechanical Engineering program is a 128 credit-hour curriculum, with knowledge of any of the following major areas: a) Fluid/Thermal Science, b) Mechanics Materials and Design, or c) Design, Robotics and Manufacturing. The program is accredited by the Engineering Accreditation Commission (EAC) of ABET. FIU gives you the option to combine both BS and MS in Mechanical Engineering by taking fewer courses and completing your Master’s program faster. The Master’s degree offers a wide array of specialization areas and is available as either a thesis or non-thesis program. The program is geared towards advanced research in engineering subjects and is available in both a thesis and a non-thesis option. Thesis students need to complete 24 credit hours of coursework, plus six semester credit hours of Master’s Thesis Research, as well as a Graduate Seminar. Non-thesis students require 33 credit hours of graduate coursework, one semester of Graduate Seminar, and a Comprehensive exam. 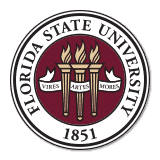 FSU offers a Bachelor of Science degree in Mechanical Engineering that is accredited by the Engineering Accreditation Commission of ABET. The program lays emphasis on laboratory experience and fundamental science knowledge and culminates in a one-year capstone design course in which the students design and implement a full system or product, usually under industrial sponsorship. The BS-MS program is a combined undergraduate-graduate program that allows you to complete both BS and MS degrees in five years of full-time study. The program is open to well-qualified students from within the College of Engineering. FSU offers two options for completing the MS degree. Thesis option has a minimum distribution of courses for a total of 30 credit hours. The non-thesis option requires thirty-three (33) credit hours. The BS degree in Mechanical Engineering (BSME) emphasizes analysis, design and fabrication of systems, and is accredited by the Accreditation Board of Engineering and Technology (ABET). The program requires completion of 126 credit hours. This program is aimed at students who wish to pursue a career in mechanical engineering and professionals who work in related fields. Successful candidates must complete 27 course credits and a three-credit independent design or research project. Florida has both the climate and the population to sustain the growth in HVAC for the next decade. If you’re considering a career in HVAC, the Sunshine State would make a fine choice to pursue this career. Keep in mind that you’ll need to qualify for the state certifications and get the necessary licenses to operate there, but you can get all the information you need on how to proceed right here.